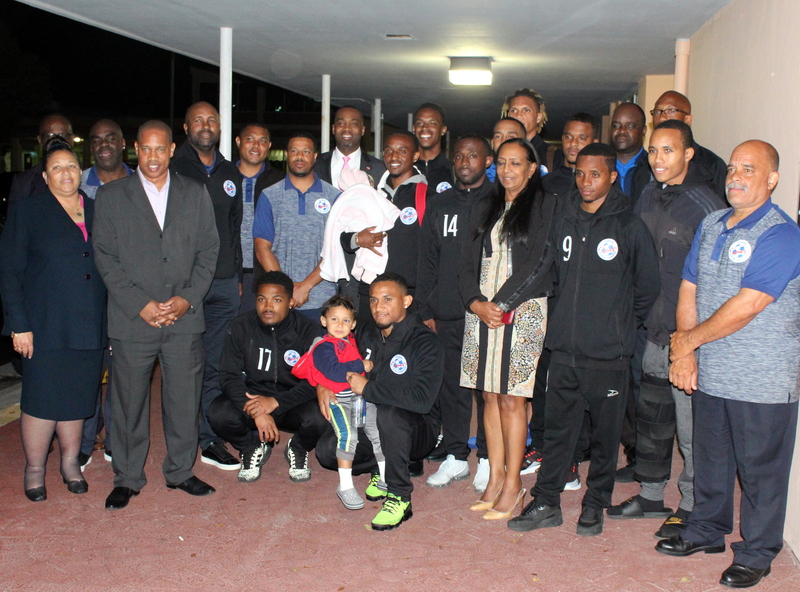 Members of the Bermuda Men’s National team arrived home following their 3 – 1 win over the Dominican Republic that saw their name included in the Gold Cup 2019. The Confederation of North, Central America and Caribbean Association Football (CONCACAF) confirmed the sixteen teams that will participate in the 2019 CONCACAF Gold Cup, following the conclusion of the CONCACAF Nations League Qualifying Round on Sunday. After 68 matches in the CONCACAF Nations League Qualifying Round, the following top 10 ranked teams have qualified for the 2019 Gold Cup: Bermuda, Canada, Cuba, Curacao, El Salvador, Guyana, Haiti, Jamaica, Martinique and Nicaragua. Children's Mercy Park will host the United States Men's National Team in a 2019 CONCACAF Gold Cup Double-Header on June 26th. Tickets are now on sale to the general public at SeatGeek.com and the tournament's full schedule, including the other three Group D teams coming to Kansas City, will be unveiled on April 10th. The 2019 Gold Cup will be the largest-ever edition of the event, with 16 participating nations (up from 12 in 2017) and 17 stadiums (up from 14 in 2017) in three host countries. The 15th edition of the competition will run from June 5th to July 7th, with the final to be held at Soldier Field in Chicago. Kansas City, a Candidate Host City for the 2026 FIFA World Cup in the United States, Mexico and Canada, has hosted many of soccer’s most prestigious matches at the club, college and international levels. Other high-profile events held at Children’s Mercy Park include the 2013 MLS Cup, 2013 MLS All-Star Game, 2014 CONCACAF Women’s Championship, 2015 NCAA College Cup, CONCACAF Men’s Olympic Qualifying (2012, 2015), Lamar Hunt U.S. Open Cup finals (2012, 2017) and 2018 Tournament of Nations.